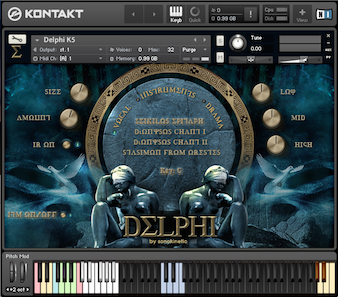 Sonokinetic has come a long way in producing sample libraries of different kinds. One of our unique approaches has always been ethnic performance libraries, vocal as well as instrumental. Güzin is a continuation of that tradition. It is also a revision of sorts. We have worked with miss Güzin Degismez before, in our very first vocal library ‘Tigris and Euphrates’ and have been in contact with her about doing another project ever since. As no other, ms Degismez knows how to blend the traditional music of her culture into cinematic atmospheres that instantly invoke emotion and lively imagery. For this project, we recorded all new material, based on ‘moods’ and, in contrast to Tigris and Euphrates, these are all temposynced and we’ve recorded all material in two tempi, to be able to employ our ITM tempo mapping system, making sure the recordings will always stay within acceptable stretch ranges. Of course, you can turn off ITM if you’re looking for that overstretched sound as an effect. 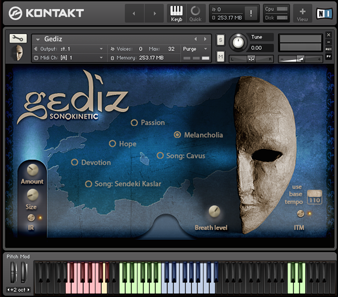 All is recorded in Istanbul by our trusted producer Ceyda Pirali, who played live percussion during the recording session to accompany the mood and set the stage for Güzin to perform freely and without the robotic constriction of a clicktrack, while still providing us with temposyncable material. We are very proud to bring the sound and quality of performance of our very first vocal product in line with the technical advancement we’ve made over the years, and again provide you with a highly unique, very usable library to infuse world class ethnic vocals into your project. Again Sonokinetic sticks with its unbeatable pricing module and high quality sampling standards. This is an absolute giveaway and hard to resist library if this is what your project needs. We’re proud to release “Güzin” and let her spread the inspiration of the Turkish female vocal sound and the rich culture of the Ottoman Empire. We again push the limit trying to capture the magic of very particular music styles with this wide selection of easy to use vocal performances and in doing so providing you the possibility, when need arises, to compose in true Middle-Eastern fashion and blow away your clientele with tracks containing truly professional sounding vocals. 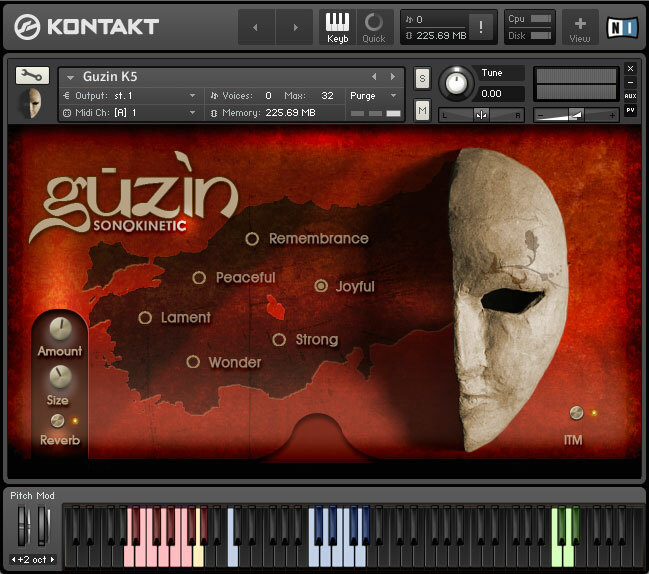 The GUI for Güzin consists of six main buttons to choose between themed groups of phrases. 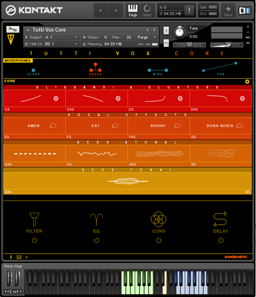 There are also controls for ITM and reverb. Phrase length is also indicated. With the six main buttons you select a specific theme for your session. The samples contained within each theme are based upon the following moods: Remembrance, Peaceful, Joyful, Lament, Strong or Wonder. 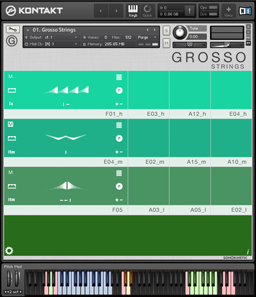 Güzin loads only the samples that are needed for the theme chosen. Samples that are not used are purged from memory once you select another theme. 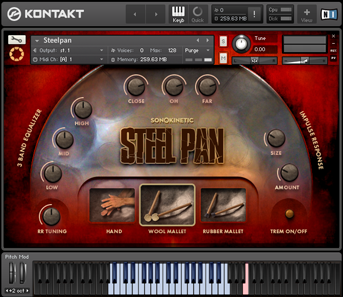 When you choose one of the six themes the available root keys are displayed as red keys from MIDI key A0 to G#1. The limitations of the human voice and the need for realistic time stretching dictate the sample mapping. Phrases are mapped to the blue keys from MIDI key C3 and upwards. This range varies depending on which theme you have chosen. The green keys towards the top of the keyboard trigger short phrase end note samples at an appropriate pitch. The blue key at C2 triggers a random breath intake sample from a possible 68 different samples. Güzin Degismez was born in Bursa in 1962. After her graduation from Bursa High School for Girls, started her music studies at Bursa Music Society with Erdinç Çelikkol. Made solo tape records at TRT (Turkish Radio and Television Corporation) Ankara and Istanbul radios under work agreement. In 1984 began her education at Bursa Municipality Conservatory, where she started teaching after her second year, and graduated ranking the first in the school as the first graduate. Her professional music career started in 1989 at Ministry of Culture Istanbul State Turkish Music Ensemble with Tambour Artist Necdet Yaşar as the art director. She took part in numerous stage, television performances, domestic and foreign activities of the ensemble as soloist and chorister; involved in international music festivals with İstanbul Fasıl Ensemble. She contributed to CD and tape records realized by İstanbul Metropolitan Municipality Department of Cultural Affairs. Vocalized the album “Bursa Şarkıları” (Songs from Bursa) with Münip Utandı prepared by Bursa Osmangazi Municipality. 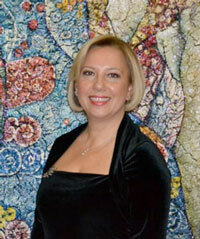 Participated in several concerts as soloist with the band İncesaz. In addition to her personal studies, also reaped the benefits of her studies with Prof. Dr. Alâeddin Yavaşça. Expanded her repertoire by practicing several pieces, which faded into oblivion due to rare performances, despite being exceptional examples of Turkish music, with Mr. Yavaşça as well as Nurettin Çelik as the last chief-singer of the same ensemble. Güzin gave solo concerts at Uludağ University Cultural Center, Bursa State Fine Arts Gallery, Bursa Tayyare Cultural Center, Cemal Reşit Rey Concert Hall and Boğaziçi University. Currently works with Istanbul State Turkish Music Research and Performance Ensemble. Released an album titled “Güz’ün Şarkıları/Meftunun Oldum”. It’s also nice to note that pianist/composer Fahir Atakoglu used her performances in Tigris and Euphrates in the very succesfull television show “Magnificent Century-Muhtesem Yuzyil” about the Ottoman Empire.